There are so many parts of World of Warcraft to explore that it can be easy to miss out on some areas, but one part of WoW that no player can afford to miss out on is the daily quests. WoW dailies are the ones that appear as a blue exclamation point from the quest giver. If you can complete the daily quest, then it shows up on your mini map as a blue question mark. A daily quest is one that can be repeated once a day, every day, for as long as it benefits your character. Now you might be asking why any WoW player would repeat the same quests for several days, and there are few reasons. 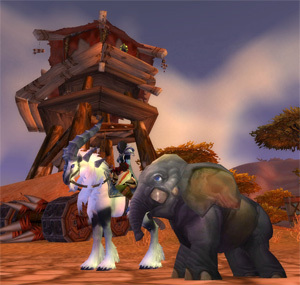 One of the most important things gained from completing WoW dailies is reputation, and the bonuses that can be purchased after reputation is earned with various factions are phenomenal. Of course not every class and race will benefit from earning reputations from all of the factions, so it’s a good idea to check out a WoW dailies guide like Dugi’s Dailies and Events Guide. These guides will highlight which classes and races will benefit from reputation with the various factions. For example, tanks will want to earn reputation with the Argent Crusade so they can purchase a special head enchantment, but melee DPS would be better suited to earn reputation with the Knights of the Ebon Blade because the enchantment offered by that faction increases attack power rather than survivability. Another reason so many WoW players complete daily quest chains is because they are a very stable way to earn gold. The WoW auction house is much like the real stock market because some items will soar in price, while others will crash to the ground. It’s all based on supply and demand, and the auction house is a very risky way to make gold in World of Warcraft. Of course if you play that risk correctly, you have the opportunity to make a lot of gold in a short amount of time, but there’s just no stability in making gold on the auction house. This is why WoW dailies make a lot of sense when you’re talking about gold runs. WoW players of certain professions will also need to complete daily quests, although these quests are a bit different than other daily quests. Jewel crafting is the only primary profession that requires daily quests, and jewel crafters need to complete them to earn their jewel crafter’s token. These tokens are used to purchase rare and epic gems, so it would be silly to miss out on them. Players who are leveling fishing and cooking will also need to complete daily quests so they can eventually be able to make the fish feast, a cooking item used in raids to help increase overall DPS, healing, and life of all raid members.